BERNINA 880 PLUS Anniversary Edition: Let your creativity shine! Golden presents for you by purchasing a B 880 PLUS Anniversary Edition! Golden Adjustable ruler foot # 72, coated with real gold*, in anniversary tin with golden Mettler thread. BERNINA trolley set with golden embroidery. USB stick with over 370 additional embroidery designs plus 5 alphabets. Dust cover with golden embroidery. The extended freearm of the B 880 PLUS offers 12 inches of space to the right of the needle and five inches in height. Therefore you will enjoy a huge sewing and embroidery area. The Jumbo Bobbin offers 70 % more thread capacity and pops in and out with the touch of a finger. 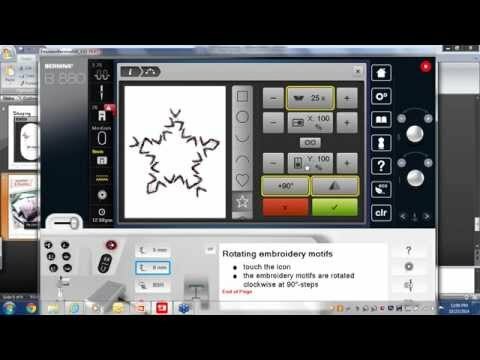 Sewing speeds up to 1,200 and embroidery speeds up to 1,000 stitches per minute. Total Stitch Control, the BERNINA Dual Feed and the BERNINA Stitch Regulator are features BERNINA developed to guarantee precise stitch quality and results. Undo/redo lets you undo or redo steps while editing and group/ungroup makes it easy to combine designs to edit them all at the same time. 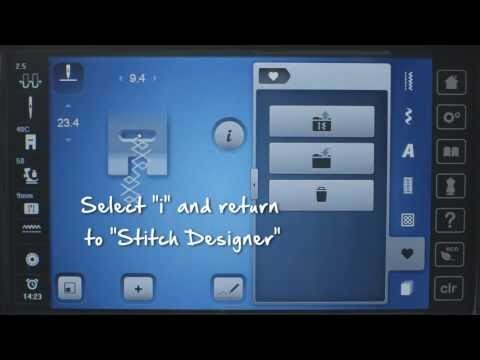 Thanks to Total Stitch Control perfect results are standard. The feed dog raises and lowers automatically for free-motion stitching when using the BERNINA Stitch Regulator, and for embroidery. The presser foot lowers at the start of a seam and lifts again at the end. The integrated Shape Designer offers you functions like duplicating and arranging designs in a circle, square or heart. Use Pinpoint Placement for precise design positioning, even when the fabric is at an angle in the hoop. Edit stitches and create your own. The creative possibilities are endless and you can continuously expand your stitch library. Choose of 12 different font styles. With the Color Wheel, designs can be changed easily and coordinated to your favorite color scheme before you start embroidering.